Wine Tasting is one of the more popular attractions on the Estate. The tasting room is located next door to the Green Vine Eatery which offers some of the most spectacular views in the City. 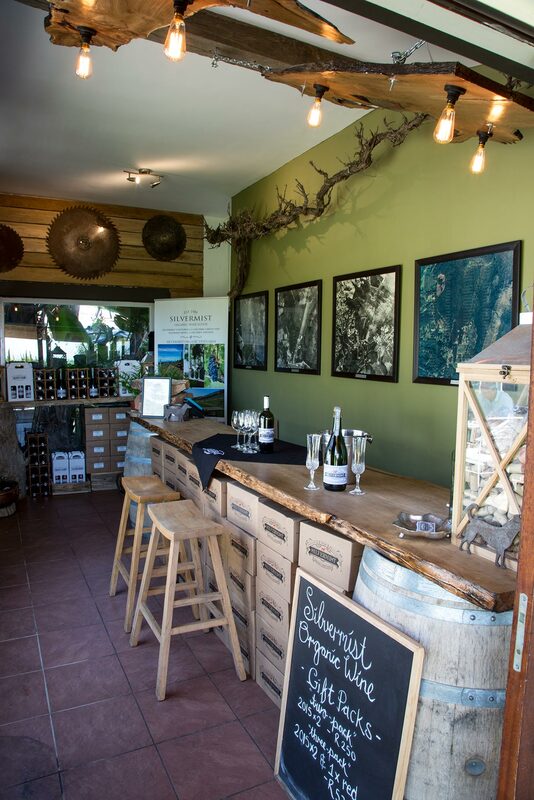 Order your Silvermist Wine or pop in to enjoy an informative Wine Tasting Experience. Wine Tasting Groups of 10 Persons or more, by Appointment Only. 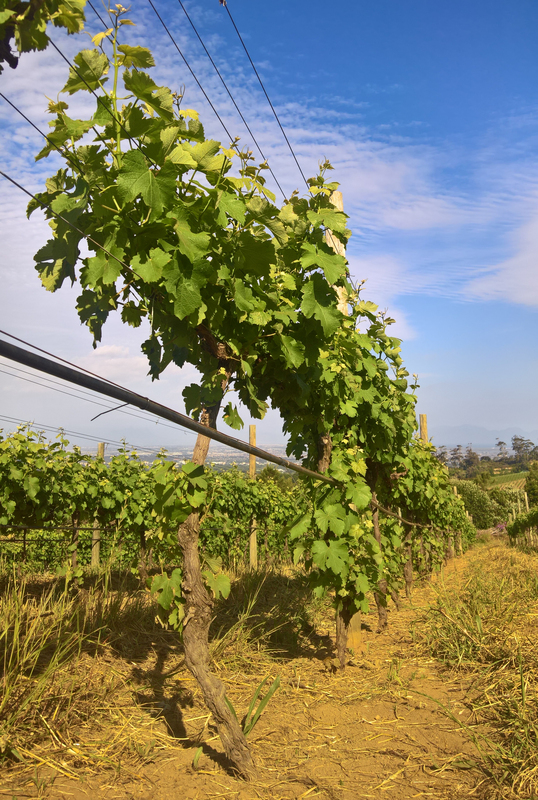 Silvermist Organic Wine Estate has planted three cultivars, namely Sauvignon Blanc, Shiraz, Cabernet Sauvignon and Chardonnay for a delicious Organic Method Cap Classique. This Sauvignon Blanc is a 100% Sauvignon and was made from the Organic Vineyards on the Upper most slopes of the Constantia Valley. This purist Sauvignon Blanc is produced from Organic grapes grown exclusively on the estate. 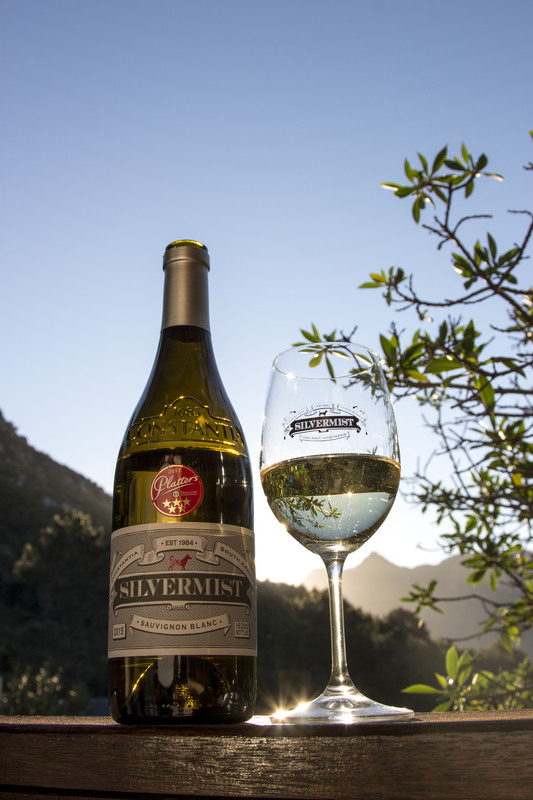 Between 12 000 and 16 000 bottles of Silvermist Organic Sauvignon Blanc is produced annually. 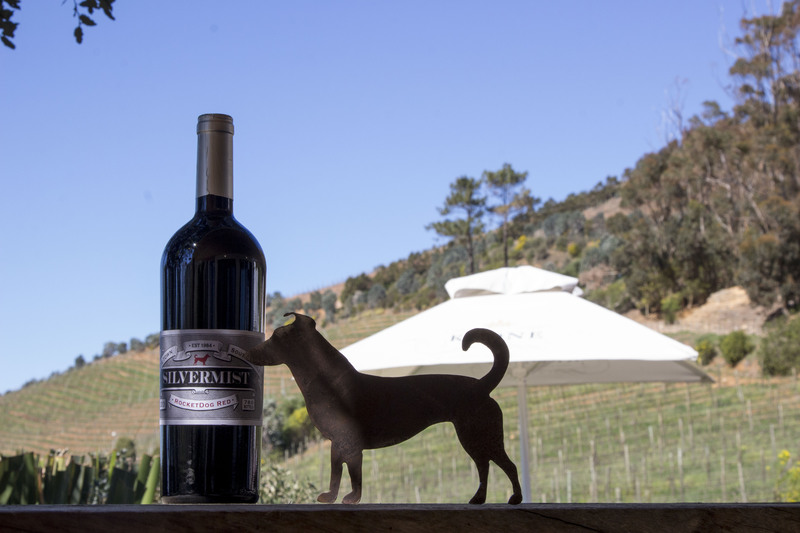 Each bottle of the boutique wine collection produced from Silvermist Organic Wine Estate has been individually numbered. This wine was made in celebration of the spirited character of the wine maker’s ever faithful dog “Rocket”. The Rocketdog Red is rich yet a wine soft and complex. The wine is made from a blend of organically certified Shiraz and Cabernet Sauvignon grapes. The 25% Shiraz is aged in new American barrels and the 75% Cabernet aged in new French barrels, both of which are then blended together at bottling.